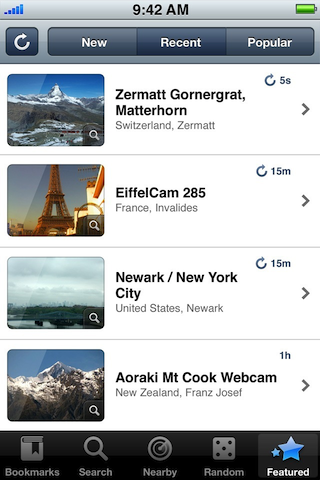 In cooperation with webcams.travel we bring you the most popular webcam applications for the iPhone and iPod touch, with more than 1.5 million copies downloaded. Worldview is not available any more! The free edition gives you access to the whole webcam library at webcams.travel in a nice and intuitive interface. Worldview+ is not available any more! The extended edition WorldView+ has all the features of the free edition and added lots of more features and helpful information. You can add your own webcams, check out the current weather, read wikipedia articles of the webcams location and much more.